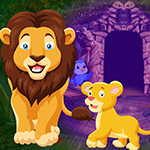 G4K Asian Boy Rescue Game is another point and click escape game developed by games4king.com. There was a beautiful magnificent fort on a dense forest and it was beautiful to look at. An Asian boy came to see that beautiful forest that is rich in natural resources. When he looked around there, he was unexpectedly stuck in the mansion there. It is your duty to save the Asian boy who is there. It will help you to find the hidden clues to save him.‌ find the tips and save the Asian boy and congratulate you in the game. Good luck and have a fun!